Home / Posts tagged "Dairy-free"
Cardiovascular disease (CVD) is an umbrella term for a group of conditions that comprise all heart and circulatory diseases which includes coronary heart diseases (CHD), angina, heart attack, congenital heart disease, hypertension, stroke and vascular dementia. This collection of conditions contributes to the most common cause of death. The risk of developing CVD is closely linked to lifestyle and dietary habits and the foods you choose to eat can have a big impact both on blood fats and body weight. A poor diet is characterised by foods which are high in sugar and unhealthy fats. The impact of this type of diet on your health is amplified by the amount of food you eat, which dictates your body weight (a risk factor for CVD). High cholesterol is a risk factor for CVD and according to statistics from the charity organisation Heart UK, more than half of all adults have raised cholesterol levels. Adopting a healthy lifestyle through diet and exercise can help to lower your cholesterol and as such reduce your risk of disease. High cholesterol itself doesn’t usually cause any symptoms, but it does increase your risk of serious health conditions. Over time, high levels of LDL cholesterol, especially when oxidised, can damage your arteries, contribute to heart disease, and increase your risk of stroke. Oxidised LDL cholesterol is more likely to stick to the walls of your arteries to form plaques that clog blood vessels. Smaller LDL particles are more likely to become oxidised by way of excess free radicles, which can build up as a result of smoking, poorly controlled diabetes, excess sugar, excess trans fats and stress. Oxidised LDL cholesterol can increase inflammation, which over time has the potential to damage tissues and organs in the body. What can increase your risk of having raised cholesterol? Being overweight and not exercising affects the fats circulating within the bloodstream. Carrying excess weight can increase levels of LDL cholesterol, whilst being inactive can depress protective HDL cholesterol. Maintaining a healthy weight and exercising can help to reverse these effects on cholesterol. Where does diet fit into the equation? Certain foods have been shown to reduce cholesterol and can be used alongside medication or as a natural approach to tackling raised cholesterol. Certain foods work in different ways to lower cholesterol through the effect of soluble fibre (removes LDL cholesterol from the body), unsaturated fats (rebalances cholesterol levels) and plant sterols, which block the body from absorbing cholesterol. There’s a misconception that foods naturally high in dietary cholesterol such as eggs and shellfish are harmful, but the effect of these foods has little impact. Cholesterol production is tightly regulated and most of what circulates in the body is made ‘in-house’. It’s the overconsumption of foods high in sat fats and sugar, and not dietary cholesterol that prompts the body to create excess. These food swaps encompass the foods that have been shown to help lower and maintain healthy levels of cholesterol. UK dietary guidelines suggest that we aim to eat 30g of fibre per day but findings from the National Diet and Nutrition Survey have shown that most people only manage to achieve two thirds of this target and that only 9% of men and 4% of women meet the guidance (1). As far as cholesterol is concerned, it’s soluble fibre that has the greatest impact. These fibres dissolve in the gut to form a thick paste that binds with cholesterol and cholesterol like substances preventing them from being absorbed. Oats contain a type of fibre known as oat beta glucan. To get the greatest benefit, research has suggested aiming to eat 3g of oat beta glucan per day (2-4 portions of oat-based foods) and shown that this may help to reduce LDL cholesterol by up to 10% over 4 weeks (2). The protein found in soy-based foods such as tofu, edamame beans and soy milk have been shown to help reduce levels of LDL cholesterol and form a key part of the Portfolio diet. Research has suggested that a 25g daily intake of soy protein can help to lower LDL cholesterol by up to six percent (3). Switching cow’s milk with a soy alternative is a useful way to increase your intake of soy protein. This alternative can be used in the same way as milk but look for a brand that’s fortified with calcium. Processed foods such as chocolate bars are not just high in saturated fat but also added sugars, which can increase levels of LDL cholesterol if eaten in excess. Dried fruit and nut bars contain less saturated and more monounsaturated fats, which are found in nuts. Monounsaturated fats help to lower LDL cholesterol and increase HDL cholesterol. Various studies have shown how nuts including almonds, peanuts and walnuts in your diet (50g per day) can slightly lower LDL cholesterol by up to five percent (4). Dried fruits also have heart healthy properties as they contain resveratrol, which is a polyphenol antioxidant thought to be associated with good heart health. Sultanas and raisins are particularly high in resveratrol. Cream is another food that is high in saturated fat, which can increase your levels of LDL cholesterol. Saturated fat is not all bad and it does also help to lower triglycerides and nudge up levels of HDL cholesterol when eat in moderation. The topic of saturated fat and its role in heart disease is one that continues to cause debate. Regardless of opinion, limiting your saturated fat intake, especially from processed foods will help to maintain a healthy body weight and balance out cholesterol levels. The market for functional foods has grown in recent years and at the forefront are plant sterols, which have been shown to help reduce LDL cholesterol. Plant sterols are extracted from plant gums and help to lower LDL cholesterol by inhibiting it from being absorbed in the body. Foods with added plant sterols include spreads, milk, orange juice and yoghurt, which can all easily be incorporated into the diet. Research has shown that consuming 2g of plant sterols per day can lower LDL cholesterol by around ten percent (5). Try swapping butter for a lower fat spread fortified with plant sterols. Red meat, especially fatty varieties, are rich in saturated fat, which can raise levels of LDL cholesterol. There are many benefits associated with limiting your intake of red meat, which include reducing the risk of colorectal cancer. Opting for alternative source of protein can be beneficial and oily fish such as salmon, mackerel and trout not only help to regulate cholesterol levels but contain omega 3 fatty acids that have been shown to reduce the risk of heart disease. Omega 3 fatty acids increase HDL cholesterol and reduce LDL cholesterol as well as reducing triglycerides in the bloodstream. Swapping red meat for oily fish can reduce your overall intake of saturated fat and offer the benefits associated with omega 3 fatty acids. Like oats, barley contains beta glucans that have been shown to help reduce LDL cholesterol. Beta glucan binds to bile acids in the gut which increases their excretion from the body. This reduced level of bile acids stimulates its production in the liver. In order for the liver to synthesise bile acids it requires LDL cholesterol, which is drawn from circulation in the body. The net effect is a reduction in circulating LDL cholesterol. Barley can be used in place of rice and works really well in risottos. Raised cholesterol is a risk factor for heart disease but is easily reversed by the adoption of healthy diet and lifestyle habits, which also influence many other areas of health. If you have high cholesterol and want to approach it from a diet perspective, then including the foods above can help you to achieve the greatest impact. How easy is it to get your ten-a-day? The trend for eliminating foods from the diet is still going strong with many pseudo health professionals advising dietary regimes that promote the removal of food groups, especially dairy and gluten-containing foods. There’s a small percentage of the population that have a diagnosed food intolerance or allergy and those with health conditions such as coeliac disease, that require them to exclude certain foods from their diet. Certain dietary beliefs also guide food intake such as veganism, which excludes all foods of animal origin, including dairy foods. Unfortunately, there is a misguided belief by some that going dairy-free is a superiorly healthy way to approach your diet but unless you suffer discomfort when eating these foods there’s little health benefit to excluding them. I have to come clean that my book, The Detox Kitchen Bible does involve recipes that are dairy and wheat-free, but rather than a regime, the book is intended to provide recipes that are suitable for people who follow many different types of diets. We have also developed our menu plans and recipes in a way that ensures any nutrients missing as a result of exclusion have been replaced with alternative foods. There’s some evidence that cutting out dairy foods may help with conditions such as acne and psoriasis as well as digestive complaints such as irritable bowel syndrome and although this is not definitively proven, anecdotally there are people who have found that cutting out this food group has helped with their symptoms. Whilst I am trained in the science of nutrition, I have no issue with people trying a food-based approach to treating certain conditions, after all, it’s just food and as long as it’s approached in a sensible way then why not give it a go. The important thing with exclusion diets is to fully understand the foods that you need to eat in place of those excluded in order to maintain your nutritional status quo. Dairy foods are a key source of calcium and protein in the diet as well as vitamin B12 and zinc (which is found in cheese). Calcium is particularly important for young children and teenagers as it helps to lay down strong bone. Peak bone mass is reached in your mid-twenties and what you have laid down is there to see you through to older age and whilst calcium intake will help to maintain bone mass, it will not increase it. Calcium is particularly important for women as they experience bone loss during the menopause as a result of a drop in the hormone, oestrogen. If you have week bones, then you’re at a greater risk of osteoporosis in later life. Studies have also shown there may be a beneficial role of calcium and vitamin D in women who suffer from PMS (1). Calcium works in synergy with vitamin D as it’s required for the absorption of this mineral in the body. Sunlight is the main source of vitamin D so make sure you get outdoors during the summer months. Many people have been shown to be deficient in vitamin D during the winter months so consider a supplement as the clacks go back to ensure adequate intake. Dairy foods are not the only source of calcium in the diet so whilst removing dairy may not be a major issue, it’s important to be aware of the other foods rich in calcium that must be included. The nutrient reference value (NRV) for calcium in adults is 800mg per day, which can be achieved by eating 3-4 portions of dairy foods daily. The table below shows some of the alternative sources of calcium that you can include in your diet if you’re cutting out dairy. Include 1-2 portions of green vegetables daily. Replace milk with a fortified plant-milk alternative. Include tofu in your diet, which can be used in place of meat in many dishes such as stir-fry’s and curries. 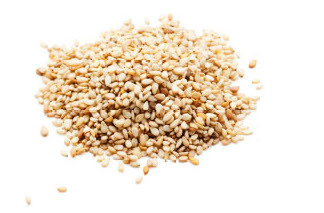 Sprinkle seeds such as sesame on salads and in stir-fry’s. Add beans and pulses to dishes such as salads, soups, casseroles and curries. Use pulses and tahini to make dips. Use fortified plant milks to make smoothies. Add canned fish such as salmon to salads and sandwiches. Snack on nuts or use as a topping for porridge, yoghurt and salads. As with all exclusion diets, fortified foods can play a beneficial role. As far as going dairy-free is concerned, milk substitutes are key as this food is commonly used on a daily basis in most peoples diets such as to accompany breakfast cereals and add to tea and coffee. There are many cow’s milk alternatives available, some of which can be bought at your local supermarket and others that need to be sourced in health food shops. They do differ in their nutritional composition when compared with cow’s milk, which is mostly in their protein content. Many substitutes offer interesting flavours that can add add versatility to the way in which they’re used and are nice to explore even if you still eat dairy. Some plant milks also offer additional health benefits such as soy, which has been shown to help lower cholesterol and may even help with symptoms of the menopause. I have compiled a brief overview below of some of the popular alternative dairy-free options. These are the highest quality nut milk versions and are supplied by brands such as ‘Plenish’ and ‘The Pressery’. Unlike other similar nut milks, these contain a high quantity of nuts in the recipe, which makes them highly nutritious although they don’t contain the same level of protein as cow’s milk. They are expensive though, but you can make your own at home by adding nuts and water to a powerful blender. Cashew nuts work really well and are a rich source of magnesium, which is particularly useful for women’s health, especially conditions such as PMS and the menopause. One of the most popular brands is Alpro, which is available in both sweetened and unsweetened varieties. Watch out for the added sugar in these milks as it can be quite high and always look for a brand that has been fortified with vitamins and minerals, especially calcium. Soya milk has a similar protein content to cow’s milk and the added benefit of phytoestrogens, which when eaten daily may help relieve symptoms of the menopause. Soy has also been shown to help lower cholesterol levels and is a key component of the Portfolio Eating Plan. This is the best option for people who still want to drink cow’s milk but are unable to tolerate the lactose. This milk has added enzymes that help to break down the lactose into simple sugars so reducing the chances of any gastrointestinal disturbances. This also tastes identical to regular cow’s milk and has a very similar nutritional profile. Another interesting brand is A2 milk, which is cow’s milk that contains only the A2 protein and is free of the A1 protein that causes inflammation. Whilst this milk is not suitable for people with lactose intolerance and allergies, it’s a good option for those who experience mild digestive upset when they drink cow’s milk, which is more prominently a result of the A1 beta casein protein that has been shown to cause similar symptoms. This is the most hypoallergenic of all the milk alternatives as it’s free from gluten, dairy, soy and nuts so a good alternative for people who suffer with multiple food allergies and intolerances. It doesn’t contain a lot of protein when compared with the other alternatives and has a much higher carbohydrate content given it’s made using rice. Check the carton though as these milks can be high in sugar and opt for a variety that’s been fortified with calcium. This is pretty watery so only really suitable for drinking or adding to cereals. The texture of coconut milk is really similar to whole milk and it has a similar fat profile (although the fats in coconut milk are medium chain fatty acids that have unique health properties). The coconut taste is delicious but pretty strong so more of a drink than recipe ingredient. This is not the same a canned coconut milk and widely available brands include Koke. The protein content is really low so not particularly beneficial if you’re looking for something to drink post-training. This milk is good for people with multiple food allergies as it’s free of gluten, dairy and soy. Coconut milk is also high potassium, which is essential for maintaining fluid balance in the body and regulating blood pressure and heart function. Again, look for a brand that has been fortified with calcium and is low in sugar. The most popular brand that is now widely available is Good Hemp. The main selling point with this cow’s milk alternative is the presence of omega 3, which is useful for people following a plant-based diet. Omega 3 has many health benefits, the most widely researched is heart health. Although the omega 3 found in plants is not easily processed in the body it’s still as useful source. This milk is very low in protein and you should look for brands that have been fortified with calcium. If you’re looking to cut dairy out of your diet for whatever reason, then be sure to be mindful of the foods you need to be eating more of in order to achieve a nutritionally balanced diet. Also be aware that if you don’t experience any discomfort or adverse health issues from including dairy in your diet then there’s really little benefit to excluding these foods from your diet as it only adds one more thing to think about when deciding what to eat. Bertone-Johnson ER, Hankinson SE, Bendich A, et al. Calcium and vitamin D intake and risk of incident premenstrual syndrome. Arch Intern Med. 2005;165(11):1246-52. Veg-swaps are a health trend that is here to stay and offer a great way to replace carbohydrates in your recipes, which is useful if you’re trying to lose weight. The bright colours in this dish mean you’re getting a great supply of valuable phytonutrients, which are pigments in plants that may help to protect the body from diseases such as those of the heart. Shiitake mushrooms contain beta-glucan polysaccharides that have been shown to help enhance the immune system as well as vitamin D, which is lacking in many peoples diets, especially during the winter months. Tamari is a gluten-free alternative to soy sauce and has a lovely rich flavour adding depth to the dish. If you don’t eat meat then try adding a legume or pulse such as chickpeas or soya beans, which will add protein to the dish. You could also throw in a handful of nuts such as cashews, pumpkin seeds or lentil sprouts for a little crunch. Furikake is a Japanese blend of sesame seeds and seaweed, which add an umami flavour to the dish as well as a source of iodine. Heat the oil in a wok. Once hot add the chicken and fry for 5 minutes until cooked through. Squeeze the lime juice into the wok and cook for a further 1 minute. Add the broccoli, chilli, ginger, onion, red pepper, garlic and mushrooms then fry for 3 minutes until tender. Add a splash of water during cooking to steam the vegetables and help them to cook. Take the wok off the heat and stir in the courgette, coriander, tamari and ferukake. Divide between two plates and serve.